Results from 2016 shellfish monitoring show no 134-Cs or 137-Cs contamination in shellfish tissues. 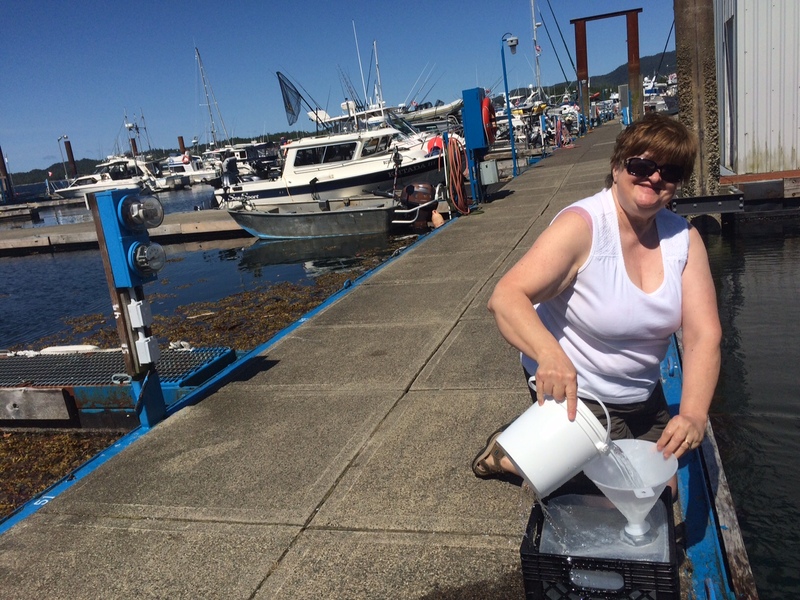 Prince Rupert’s July 2015 sample was recently collected by our volunteer team at Northwest Community College including visiting science teacher Sandy Humphrey from SD 91. 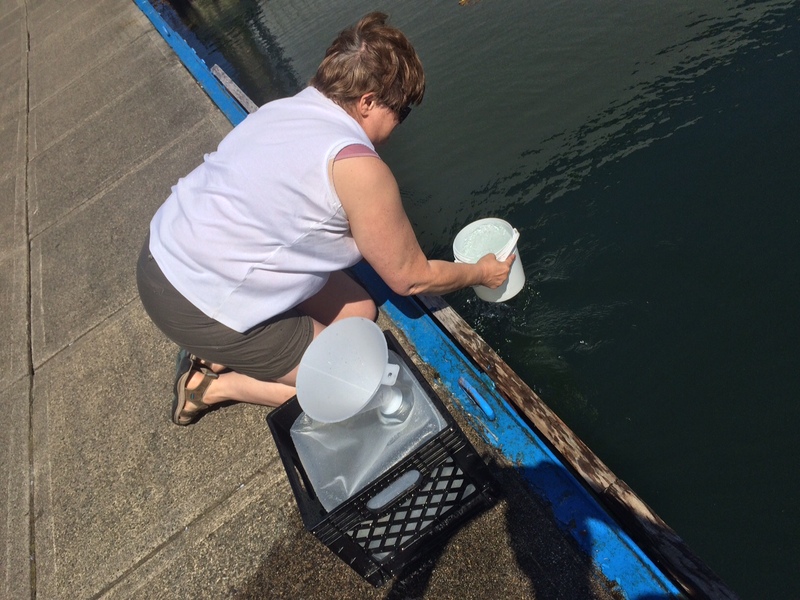 Sampling is being coordinated by Cheryl Paavola (Instructor and Science Lab Tech) at Northwest Community College – Prince Rupert. 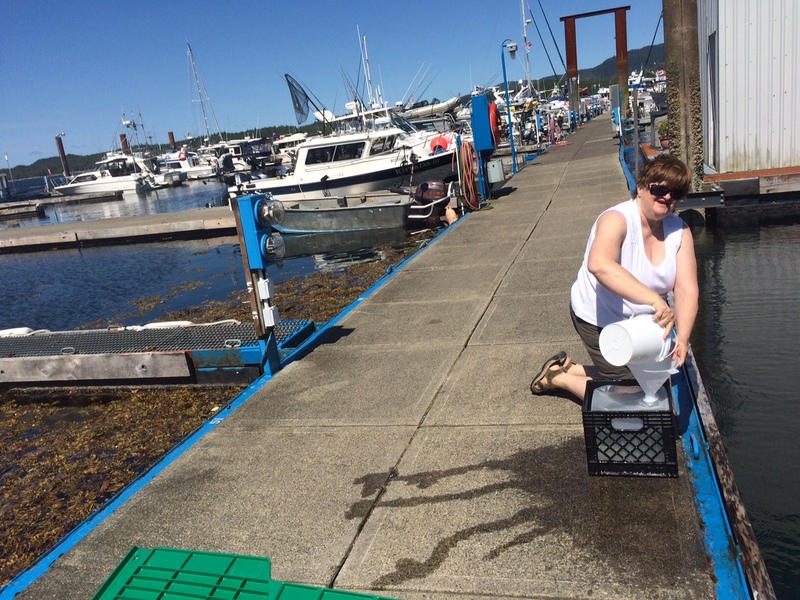 Sandy Humphrey of SD 91 collecting the InFORM seawater sample in a very sunny Prince Rupert harbour. Sandy Humphrey and Cheryl Paavola at Prince Rupert. 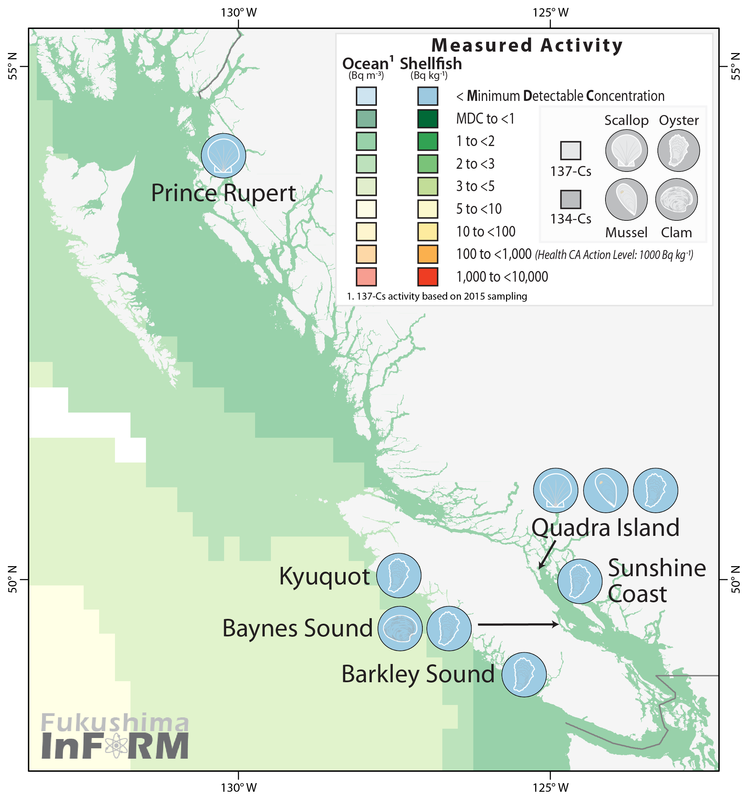 The sample will be processed and analyzed for radiocesium and naturally occurring radionuclides. Four years later, debris continues to wash ashore on Haida Gwaii and the BC Coast from the 2011 Japanese tsunami. This week, Prince Rupert and Terrace residents listened to two experts talk about the severe impact the tsunami is continuing to have.As waves crash against BC’s Northern Shores, more debris is being discovered says Shoreline Cleanup Manager Kate Le Souef. Prince Rupert’s third sample was recently collected by our volunteer team including students from NWCC Desiree Louis (College and Career Prep program) and Michael Standbridge (Applied Coastal Ecology (ACE) program). Sampling is being coordinated by Cheryl Paavola (Instructor and Science Lab Tech) at Northwest Community College – Prince Rupert. Northwest Community College volunteers Michael Standbridge and Brittany Fenwick helped collect water samples on Jan. 9.